This Lent (March 8 – April 21), Hanscom Park UMC will have another six-week round of Grow Groups in the spring. Please consider participating as a way to learn, pray, and grow in your faith. Like a good Fish Fry? Like the company of friends from Hanscom Park church? Well, we’ve got a great new Grow Group for you. Fish & Fellowship will meet each Friday during Lent to explore the Omaha Fish Fry scene and grow in faith together. The group will meet at the church each Friday at 6:00 to carpool to the various Fish Fry locations and gather for fellowship afterward. Talk to MaryK Mashek or Cindy Serfass for more information, or contact the church office (info@hanscomparkchurch.org) and we will connect you to the group. This group will meet before worship each Sunday to discuss the book Made for a Miracle by Mike Slaughter. Discussion will be led by Peg Speck & Cindy Ray. For more information or to order a book for the group, contact the church office at (info@hanscomparkchurch.org). Practice: discuss why we do all the unusual things Christians do…from baptism to communion to prayer to service and more. Relationship: grow in relationship with one another as we wrestle with our questions and ideas about God, humanity, and the church. Integration: participate in activities to help you reflect on how faith has been part of your life journey thus far…and how God is calling you to grow and express your faith throughout the rest of the adventure. Scripture: engage with the biblical text that contains the story of our faith, and learn how to use the scriptures as a means of spiritual growth. Methodism: explore the uniqueness of our Methodist tradition, how it is similar and different from other expressions of Christianity, and how it can be practiced throughout a lifetime. 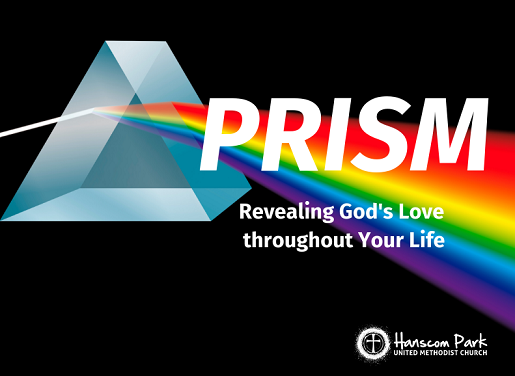 If you plan to participate in this class, please notify Pastor Chris via email (chris@hanscomparkchurch.org) or sign up on the clipboard in worship. There will be food to get us through! All adults and high school students are invited to participate. If your middle school youth is interested, please contact Pastor Chris to see if this class is right for your child.